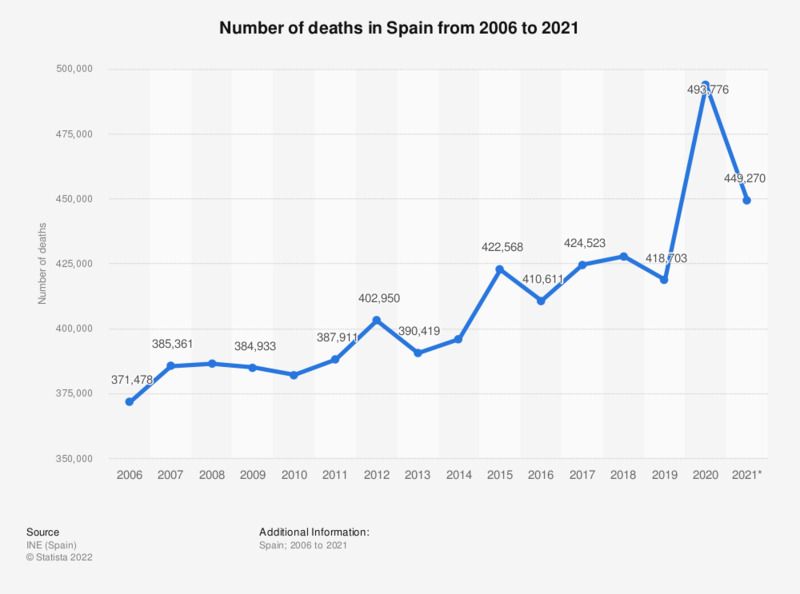 This statistic displays the number of deaths in Spain from 2006 to 2017. As of 2014 the number of annual deaths amounted to roughly 395 thousand, by the following year this number had increased to roughly 422.5 thousand. 2017 ranked as the year that registered more deaths in Spain during the period of time under consideration.